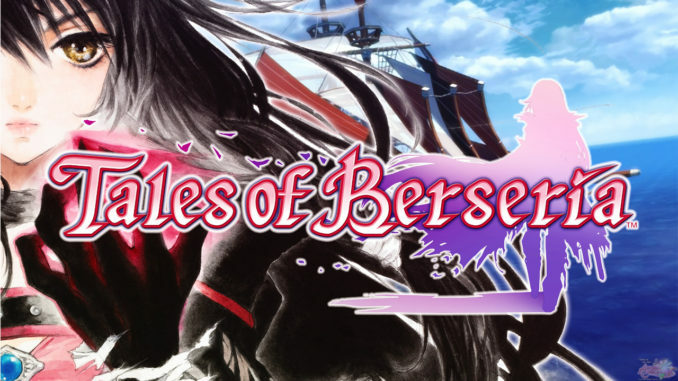 HomeAbyssal ChroniclesThe Winners of AC's "Tales of Valentines" Contest! Congratulations! 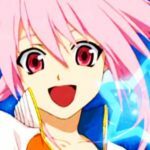 The Winners of AC's "Tales of Valentines" Contest! Congratulations! sdvskjfdalblk I am so sorry for the delay with the announcement! I got buried under school work and I couldn't get to this right away! I'm really sorry, guys :(! 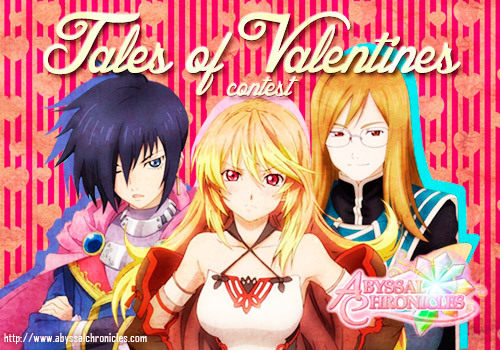 Anyway, without further ado, here are the winners of AC's Tales of Valentines contest! The winners were chosen mainly on how well they portray their chosen Tales character, plus how romantic and/or how witty the line is.Our two best entries (in my honest opinion) are the following! 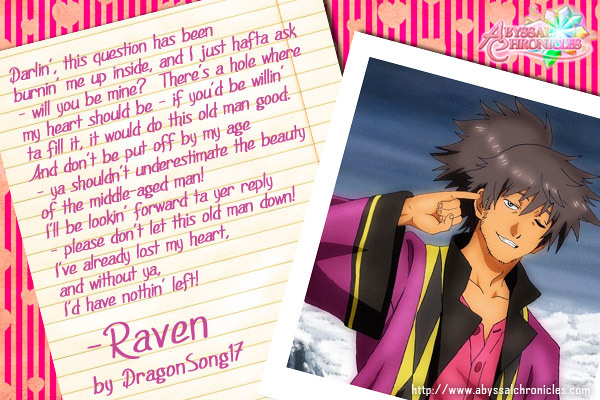 A line by Raven (Tales of Vesperia) from Dragonsong17! 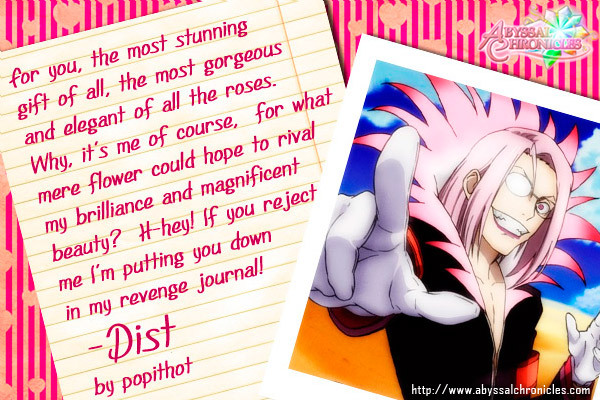 A line by Dist the Runny (Tales of the Abyss) from popithot! Congratulations, you two! You both won a copy of Tales of Hearts R (JP version) and a Your Tales of Shirt, each! And here are the runner-up winners! I had a really hard time deciding on this. You guys were all just really good! 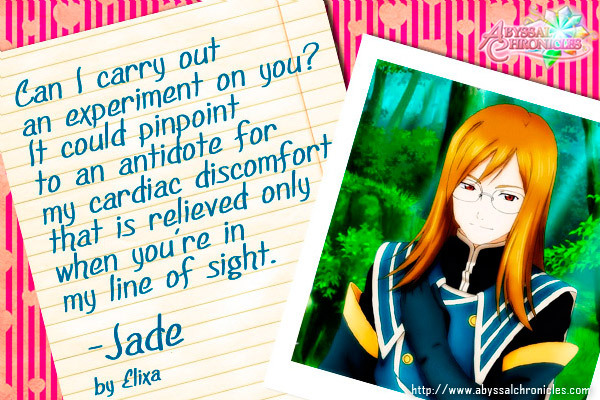 A line by Jade Curtiss (Tales of the Abyss) from Elixa! 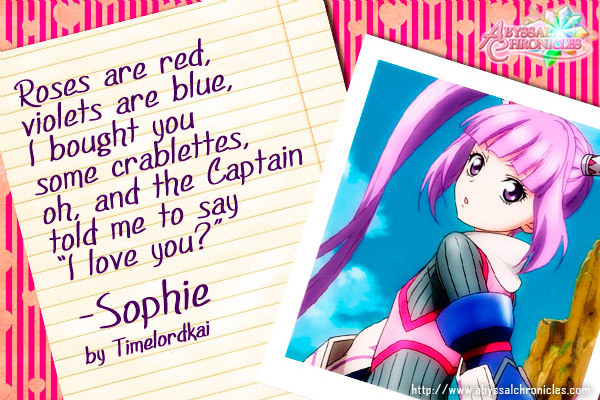 A line by Sophie (Tales of Graces/Graces F) from Timelordkai! 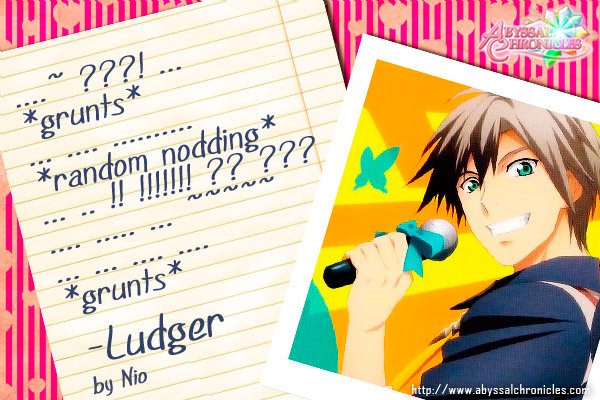 A line by Ludger Will Kresnik (Tales of Xillia 2) from Nio! Congratulations to the runner-ups! 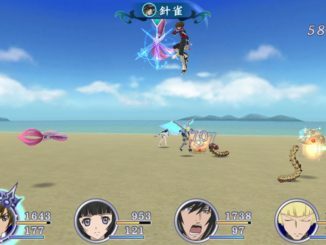 You each win a Your Tales of shirt! I'll be contacting the winners via e-mail myself, so please just wait for the e-mail. For the shirts, we'll be prioritizing the sizes chosen by the first two winners first before the runner-ups. Hence, the runner-ups may not receive my e-mail yet today, but please just be patient! Note that the shirts will be coming from Ms. Hollie of Namco Bandai Games UK, so you'll probably get your prize within this month. As for the Hearts R copies, we'll be pre-ordering them, so obviously you'll get them by next month. Thank you so much to all those who joined! We got over a hundred entries, and it was really hard to pick. A lot of people were asking for this, but unfortunately, I cannot post all the entries (because it takes a long while to open message - copy paste - go back to inbox - open message - copy paste over a hundred messages). Those who joined, however, are free to share to others what they submitted. We're able to give out these contests because of your continued support, and you can expect more in the future as long as you continue to support us. The best way of supporting us is buying stuff from either Play-Asia, CDJapan or YesAsia using our affiliate links. Rest assured that everything we get from there goes back to you in the form of contests, and more. 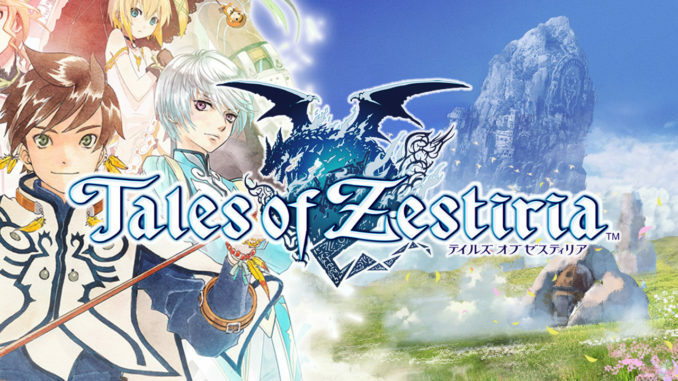 In fact, the funds for this contest were from those who ordered Tales of Xillia 2 via our Affiliate Link, so thank you very much to all of you! 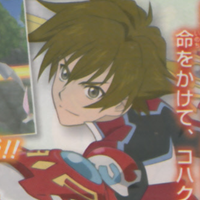 We're saving up the rest for a Xillia contest in the future :). Happy Birthday, a745! + Thank you for the 3M hits!